Switch-Pro LC10 Compact Level Controller from Flowline for use with compatible Level Switches. General purpose compact relay level controller offered in two versions with 1 relay and 1 or 2 sensor inputs. The general purpose Level Switch Compact Level Controller is offered in two versions with 1 relay and 1 or 2 sensor inputs. The LC10 provides a high or low level switch with a single sensor input. The LC11 provides latched automatic fill or empty control with two sensor inputs and is typically integrated with Smart Trak. 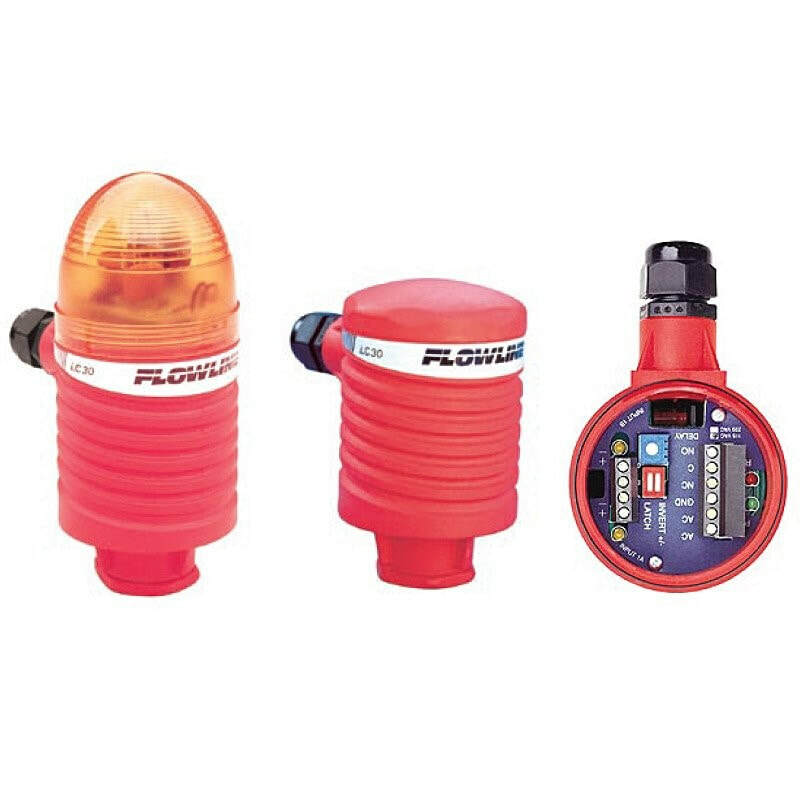 The optional strobe flash alarm brings immediate attention to process conditions. Package the controller with any Flowline level switches or installation fittings. Switch-Pro Compact Level Controller for use with Flowline Level Switches. General purpose compact relay level controller offered in two versions with 1 relay and 1 or 2 sensor inputs.